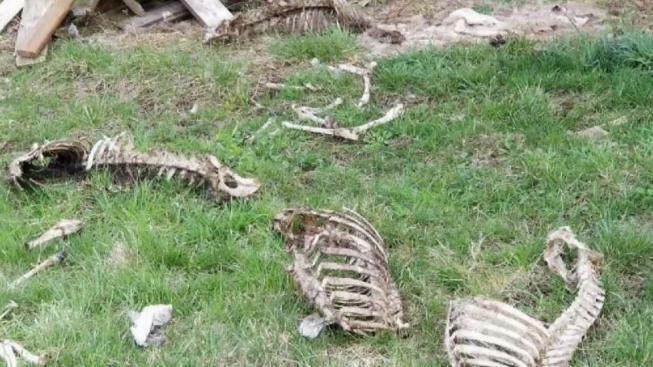 A historic African-American cemetery in Loudoun County, Virginia, became a dumping ground for deer carcasses, and the hunters responsible are facing charges. Virginia wildlife officials arrested four men Thursday, the same day Loudoun Freedom Center Pastor Michelle Thomas notified the caretaker of the cemetery, the town of Leesburg, about the remains. Thomas works to preserve African-American culture across the county. "I'm not on anybody's payroll to come here and clean this cemetery, the only payroll I'm on is God's," she said. A Leesburg crew took most of the big carcasses away. "As soon as we knew about it, we took care of it, and that was important for us to do," Mayor Kelly Burk said. Burk said the town is determined to keep the historic cemetery clean. She plans to do more to help preserve the land but wants the community involved. "We need to hear from the African-American community, and the community in general, what do we want to do there?” she said. “Do we want to close it off? Do we want to fence it in? How do we want to preserve it?" Thomas has questioned the town’s stewardship and has gathered volunteers to help with the cleanup of trash and debris. She was there with students from Cornell Friday. "I still see life when I walk through this cemetery because I know that there's a story that's waiting to be told," she said.